I spend my days baking cupcakes if you're lucky you'll catch me baking in my sparkly tutu, sometimes I feel like a Chemist...mixing all my different ingredients to conquer up the perfect cupcake. I'm not going to lie some of my cupcake experiments do fail...but someone once told me that the only true failures are the ones that never try. & sometimes I end up with the most amazing cupcake that makes me wonder where it's been all my life! I'm also been called a cupcake artist, you would understand why if you've seen my cupcakes. There little works of art. I've always been a little on the creative side; I was actually going to go to school for digital media(photography, Graphic design, web design)....but that didn't happen. My cupcakes are more then just cupcakes. I put love into them, I put laughter into them, I put happiness into them, I put so much into each cupcake that it becomes so much more. I want my cupcakes to make people happy, I want people to be excited about them....if you can't tell I have big dreams for my little cupcakes. Life is about taking risks...it's about living everyday to the fullest, it's about having exciting adventures, living your dream. life is a risk, and an adventure all on it's own. Owning your own business that's a big adventure. 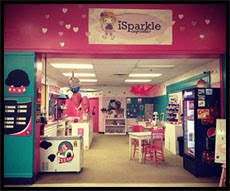 Owning a cupcakery....now that is a rather fun adventure. Your cupcakes are the best ever. Idc what anyone says, no one will ever be able to top you. Love your cupcakes so much. You are truly a cupcake genius! 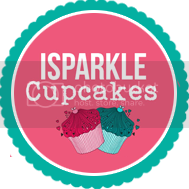 I love how you can influence others to show their inner sparkle with your amazing cupcakes. Keep it up Cassie! Cassie, you have a very special gift. Your ability to find good in everything is precious. You just make people smile. Don't lose that. Your new fan.